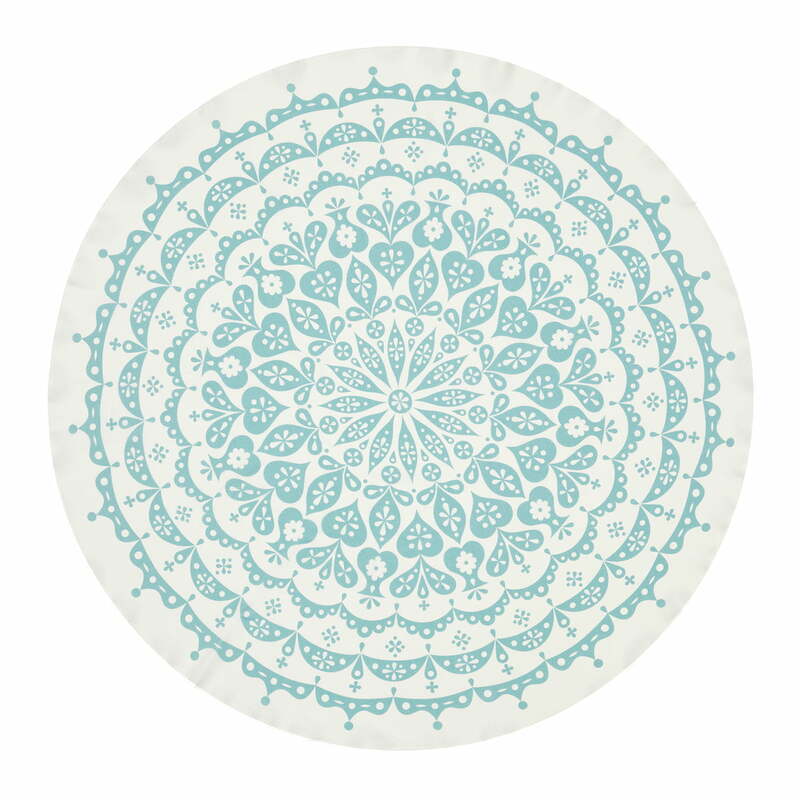 The round tablecloth with lace design by Alexander Girard at first glance recalls a classic lace tablecloth. 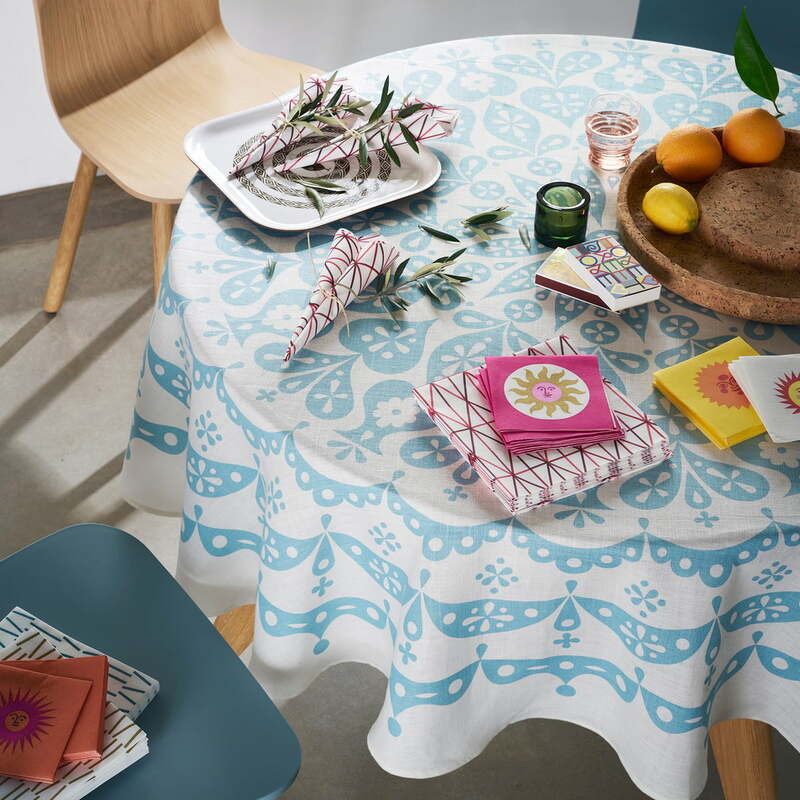 But unlike the model the Vitra tablecloth is manufactured from durable and easy-care linen, which was printed in the screen printing process with the lace motif. 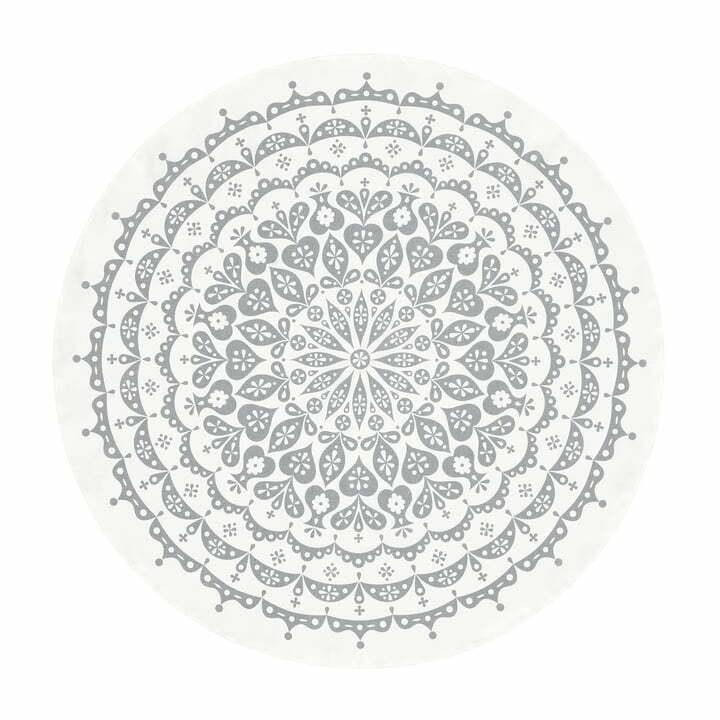 Thanks to the summerly colours, the generous tablecloth with a diameter of 170 cm is suited for decorating the table, as well as for birthdays or the daily coffee table, which like that is decorated with a classic design. Cheerful colours and patterns, abstract and geometric shapes or unique colour combinations: This is the world of Alexander Girard. The architect and designer is one of the dominant characters of American design of the post-war period. The focus of his work was the textile design, in which he expressed his preference for colours, textures and graphic patterns. As part of the Home Complements Collection the fancy table cloth with a geometrical pattern is available in different colours , which can be matched playfully with other accessories, napkins, trays and cups to a colourful table. Single image of the tablecloth Lace by Vitra in grey/blue. 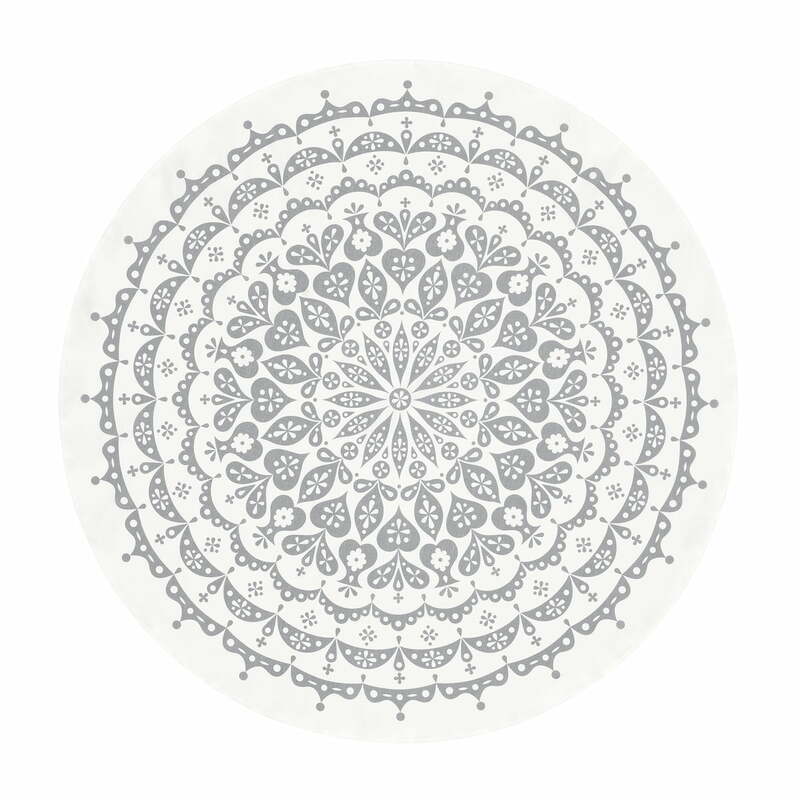 The abstract pattern is printed in the screen printing process on the coth and as a result gives the table set an individual character. 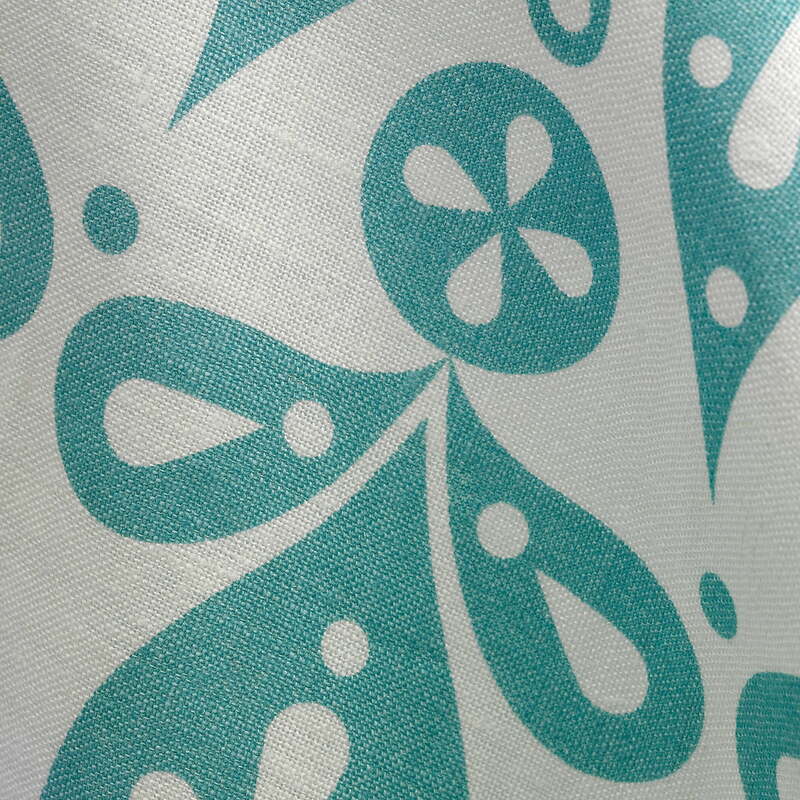 Detailed view of the Tablecloth Lace by Vitra in grey/blue Cheerful colours and patterns, abstract and geometric shapes or unique colour combinations: This is the world of Alexander Girard. Paper Napkin, Table Cloth Lace in grey / blue , Classic Tray Snake and Matchboxes by Vitra - a colourful guarantee for a stylish home and kitchen table by Vitra.